Our skilled technicians can deal with all types of minor dents and scuffs. We can massage a metal panel so that it would go back to the original state. Although most dents can be removed completely, some stubborn dents are not possible to remove. In this instance, we can make the dent far less noticeable which would save you money; avoiding the cost of repainting or buying a new panel. 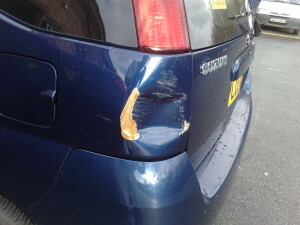 Our prices start from as little as £60.00, with further discounts available for multiple panel repairs.